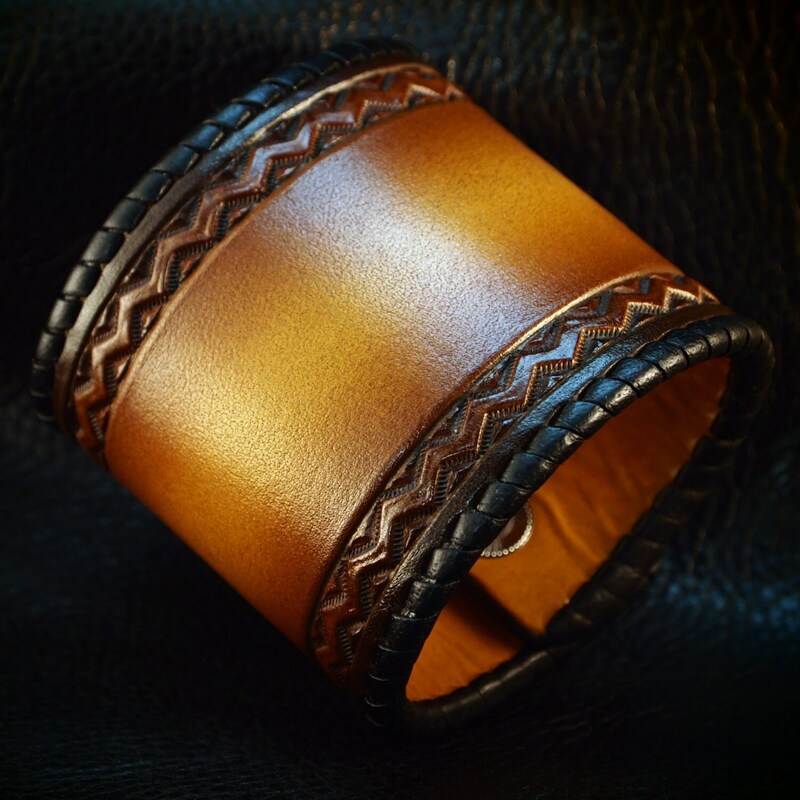 This 2.5" wide Vegetable tanned leather cuff is air dyed in a brown tonal sunburst finish . 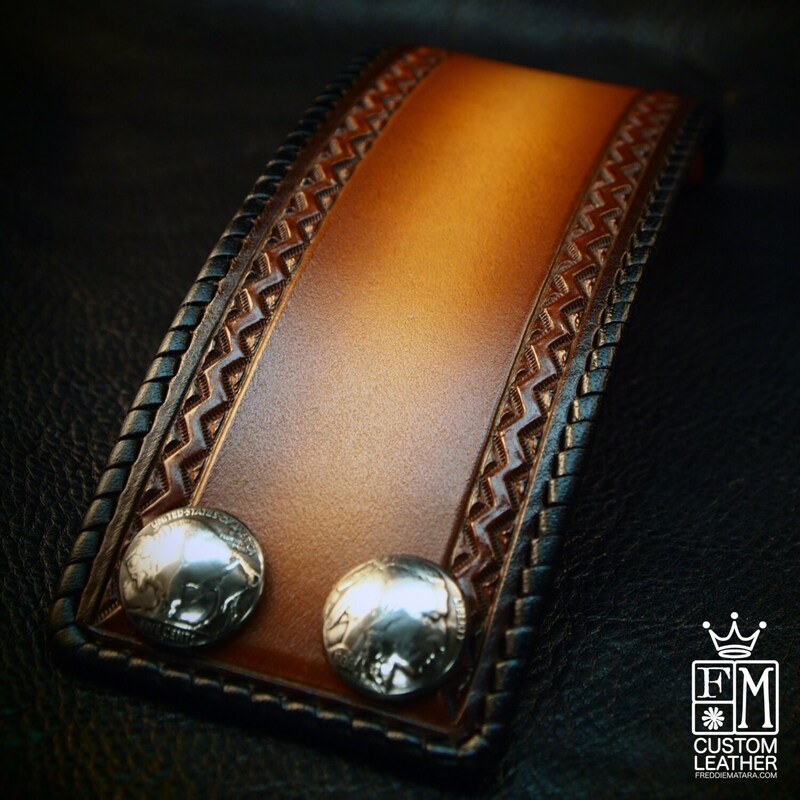 It is hand laced with black kangaroo along the edges and stamped with a beautiful custom Native border. 2 hand domed and soldered Buffalo nickel snaps provide closure! 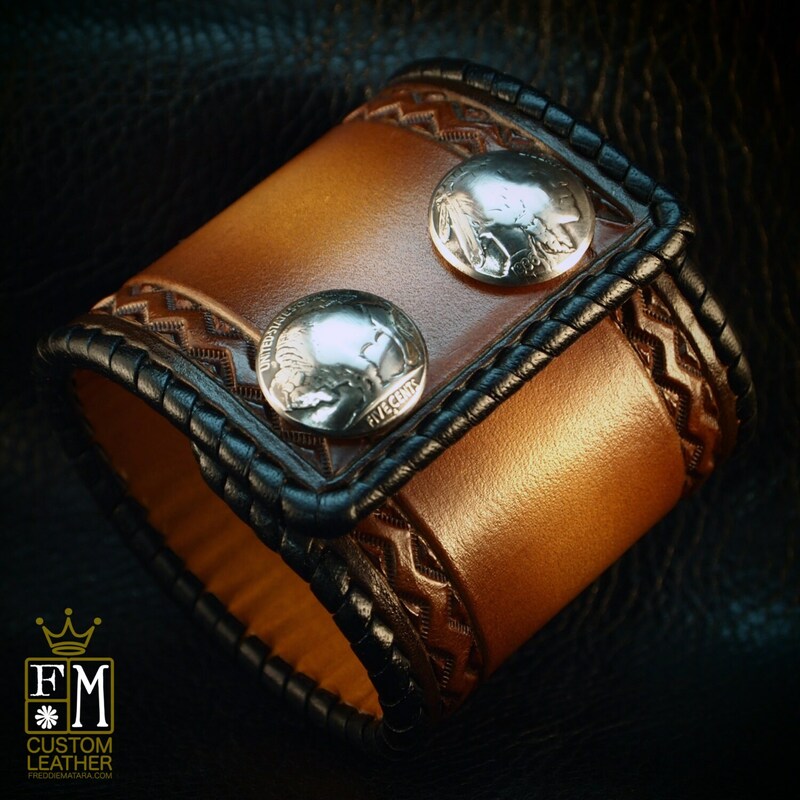 the cuff is fully lined in beautiful light tan calf leather. EVEN BETTER in person. 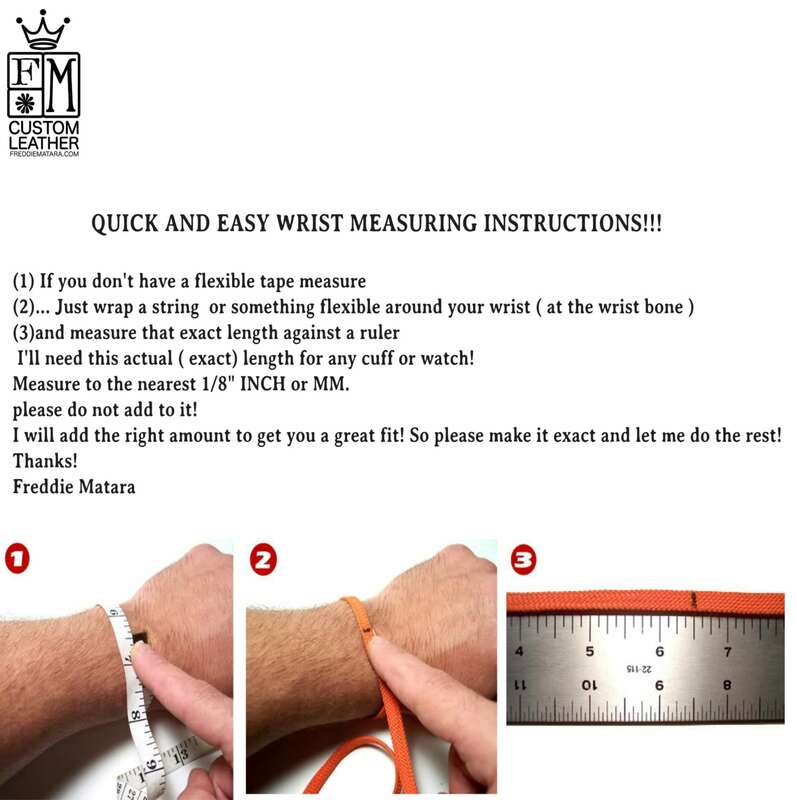 The quality and precision in design are something i've never seen in this leather cuff category. Super unique piece with beautifully crafted details. Highly recommend.